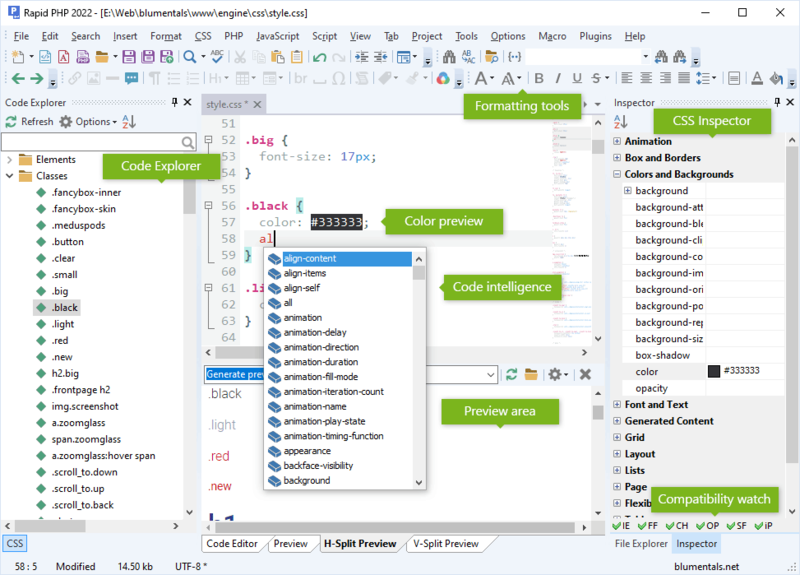 Rapid PHP editor combines speed of a simple code editor and power of a full-size IDE allowing you to work much faster. Interface and behavior is consistent with other editors. All essential features are right where they should be. 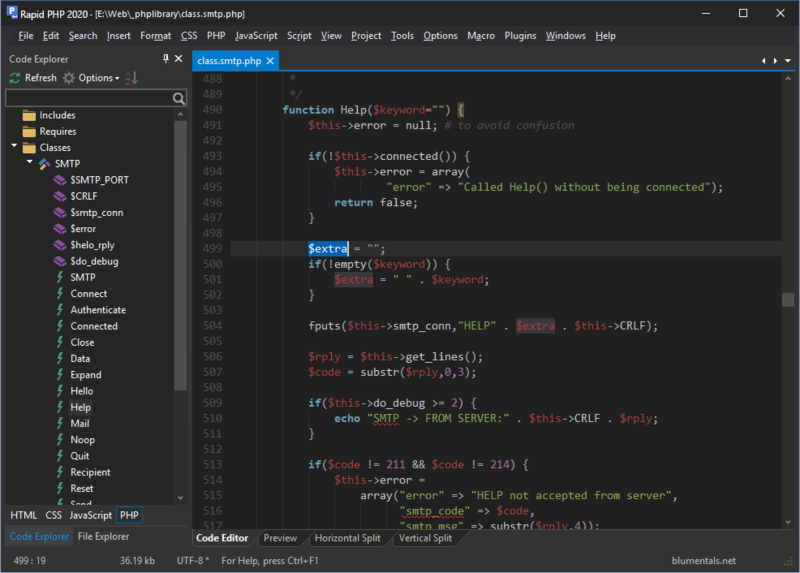 Unlike with other bulky PHP IDEs, you do not have to wait while it loads. 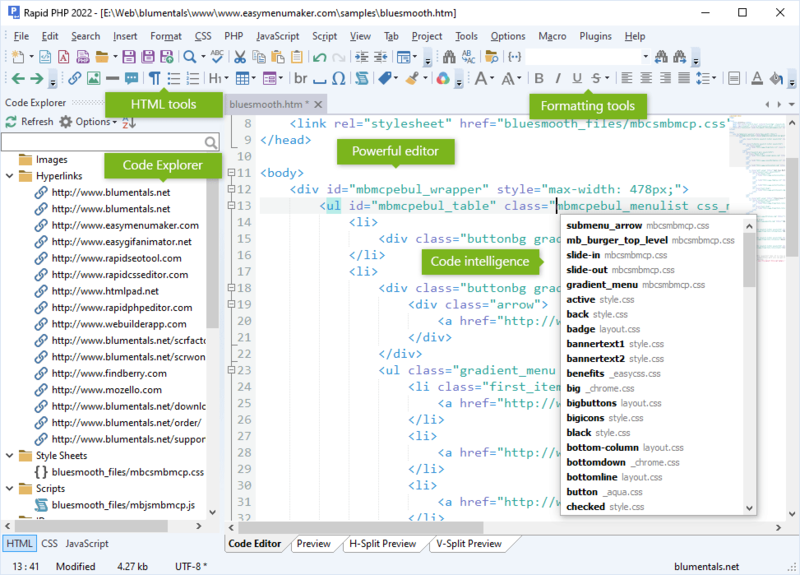 Rapid PHP editor is quick, clean and lightweight. It is very powerful, yet not stuffed with useless buttons or panels. Upload/update your online website files in just a few clicks. 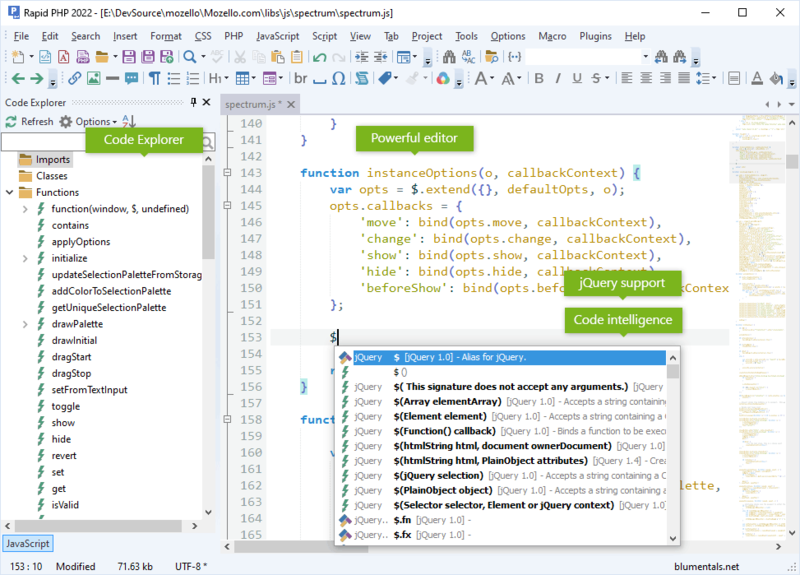 Syntax checkers, validators, debuggers, beautifiers, prefixizers etc. Just learning to code PHP? Welcome abroad! 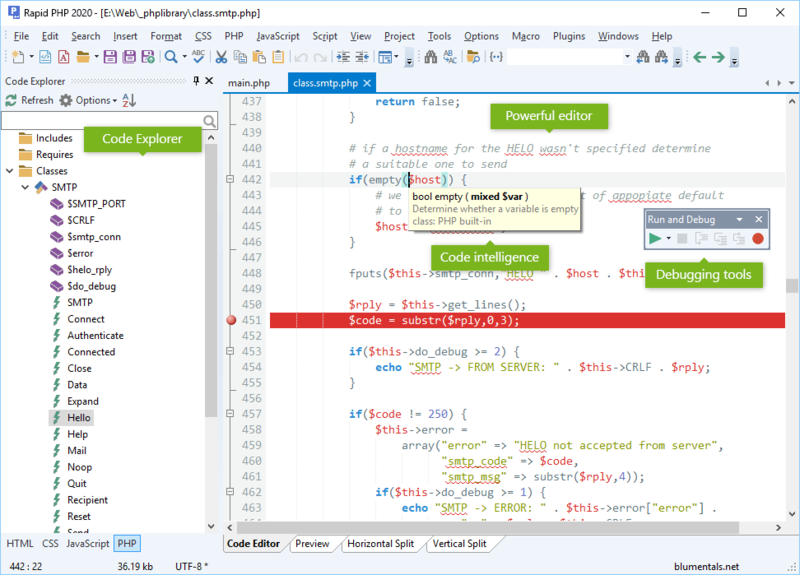 Rapid PHP editor is really simple to work with yet powerful enough to give you a learning edge.